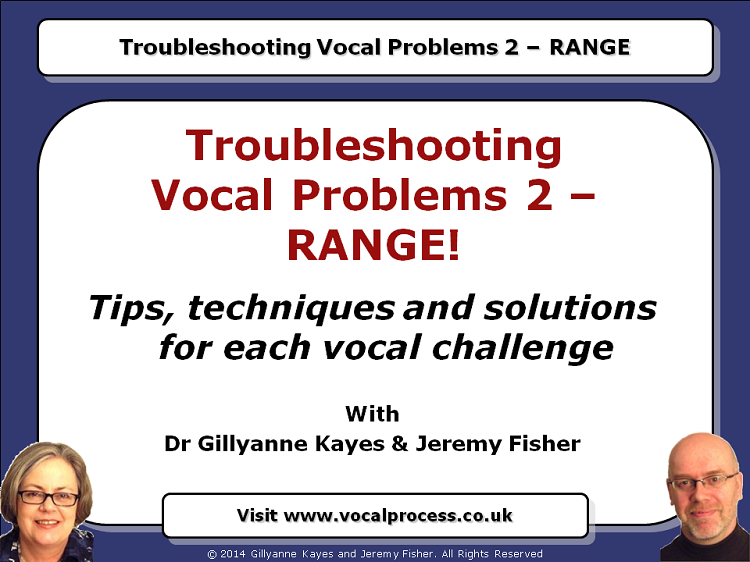 Webinar 17: Troubleshooting Vocal Problems 2 - RANGE! 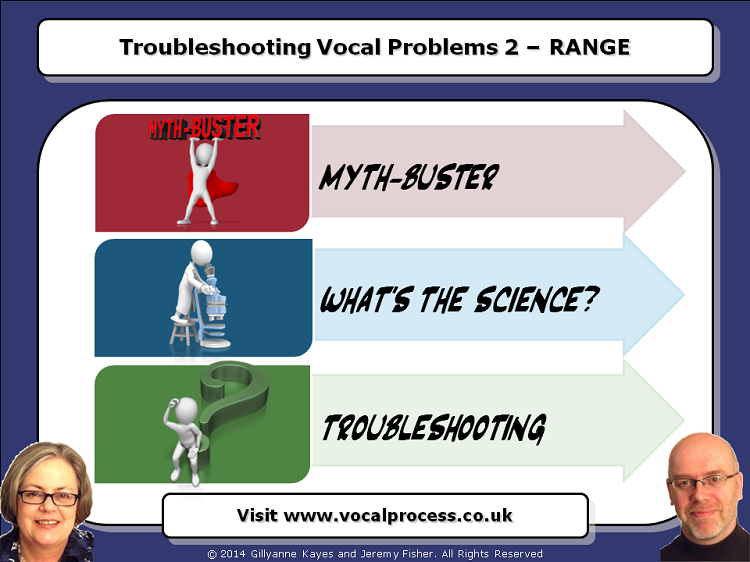 Our 2014/5 Survey of singers and singing teachers showed that the number two concern you want us to troubleshoot is range for singers. 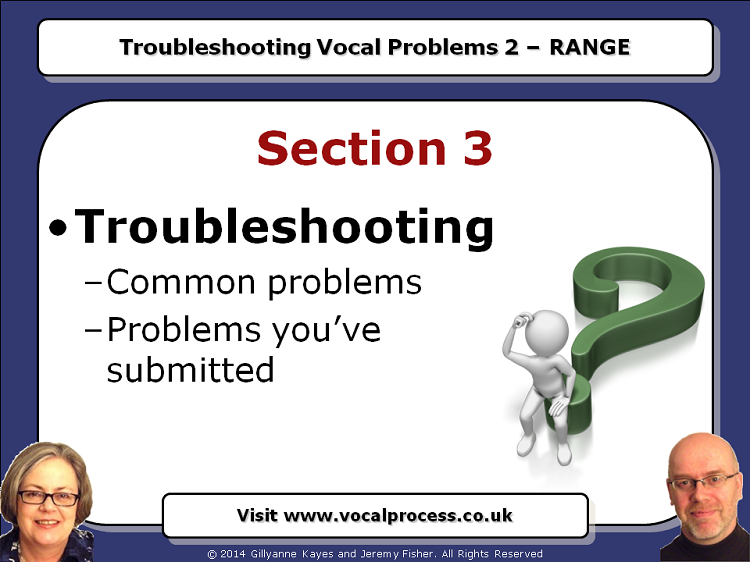 Three different range measurements that make more sense than "bottom note - top note"
Step 1: The Webinar Handout: As soon as your Webinar order goes through, you’ll get an email with confirmation of your purchase. The email contains a link to your Webinar handout that is time-limited. 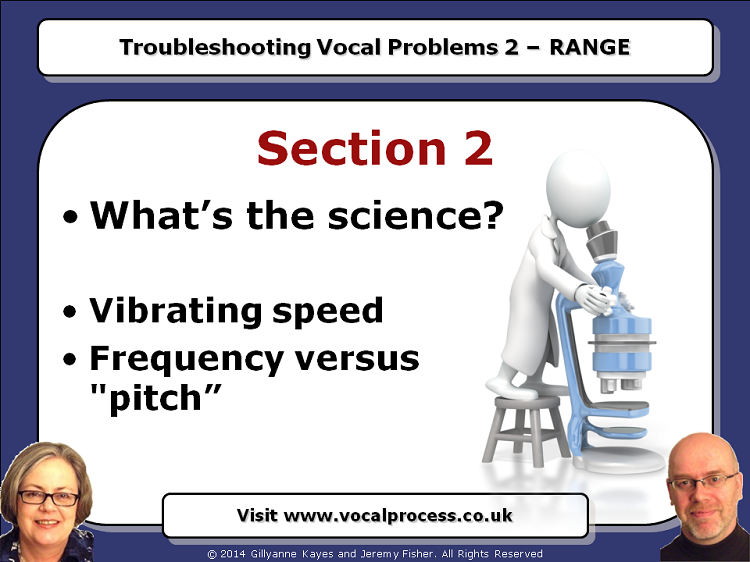 Make sure you click on the link straight away to download and save your PDF Handout. Step 2: The streaming video: Once you've downloaded the PDF Handout, open it and click on the link on the first page. The streaming video of the Webinar will appear in a new internet browser window. Click on the video to play or pause, and hover your mouse over the screen to see the chapter menu. It's that simple.